I went for a walk a while back and didn't take my good camera. 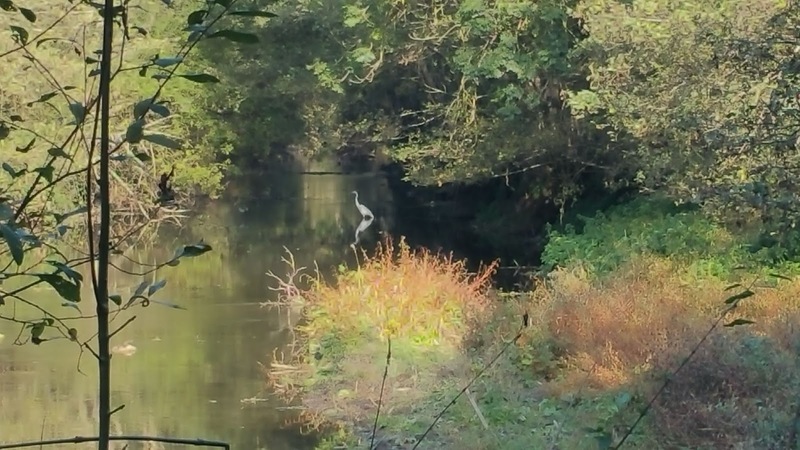 I had my phone with me, and it has a (digital) zoom facility, so I was able to capture this heron fishing. The first picture is with no zoom, the second is zoomed. 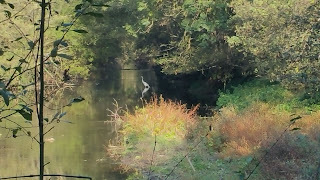 The phone tends to blur or pixellate the image, but in this case I think the effect works well. I'm a graduate of Cambridge university, and my college was Churchill. I think that universities are a Good Thing, especially in their old rôle of guardians and expanders of academic knowledge. I think they are, or were, of general benefit to mankind. As a member of the university and of the college, I get what you could call an annual report from each; they include a summary of what has been going on, news about graduates, and so on. The Cambridge one this year sports on the cover, and on an inside double spread, a picture of a collection of people, with banners that all read "Progress Together". My first thought on seeing it was that it looks like a game of Diversity Bingo, but on the other hand, if the uni wants to emphasise the fact that a world-class university education is available to everyone who meets the requirements, regardless of height, weight or hair colour, then I'm all for it. There is an article inside, about Stormzy, a black grime artist (electronic dance music), who has sponsored a new Cambridge studentship for four black British students, covering tuition and a maintenance grant for up to four years on any course. Well excuse me, but isn't that a teensy bit, um, well racist? The Churchill college magazine often has articles about its outreach campaign, attempting to find intelligent students who have been failed by the government education system, but who could benefit from a Cambridge education, once brought up to speed. This is a good thing in my view. The college is apparently, under intense pressure to admit more young women. Churchill college must recruit at least a specified minimum proportion of science undergraduates (by statute) and since fewer young women than men currently study sciences, these two objectives are hard to reconcile. One part of the proposed solution is apparently to try to ensure that, without reducing academic standards, more women who apply directly get in. If the recruiters have been doing their job properly, of course this won't be possible. Another part of the solution, as far as I understand it, is to favour women who go through "clearing", that is, they are rejected by the college they initially applied to, but might be capable of benefiting from coming to Churchill. Excuse me again, but isn't that a teensy bit, um, well sexist? We're just back from a trip to England, visiting family and friends. Always great to see people and come away with new impressions of the place, seen from a different perspective. We spent the first couple of nights at my sister's near Fareham. Her hubby spent some time in Canada this summer, visiting an old school friend. He had a fabulous time, and came away deeply impressed by the quality of life to be had there, for people with his kinds of skills. He's taking my sister out there in 2019; I can see an emigration happening, if all the hurdles can be cleared. A lunch with mum was enjoyable, and it's good to see her partner looking to be in good health, much better than when we last saw him. 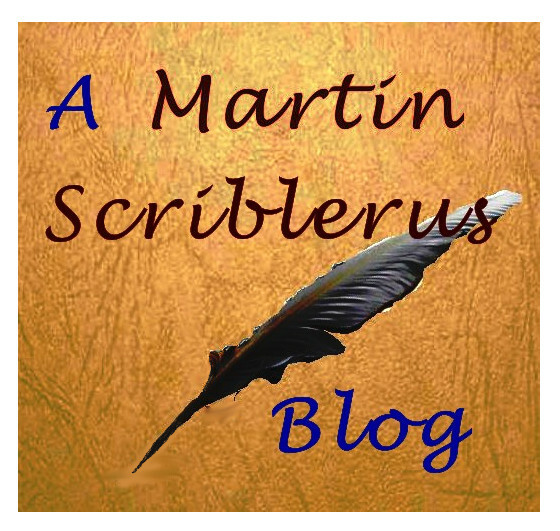 Overnight in Lewes, and a meet-up with a friend of Anita's. She took us out to Brighton where we went around the Lanes and had a delicious lunch in The Flour Pot. I also discovered a new and used CD shop. I succombed. We went to the toy museum at Brighton. It's mostly dedicated to miniature railways, but there are other things there too, including a great display of Meccano models. I had huge amounts of the stuff when I was a kid, bought largely for next to nothing at jumble sales, in undefined assortments. I had lots of cog wheels of different sizes, and learnt from practical experience the meaning of backlash in gear trains, and the fact that you can't gear up rotational speed indefinitely. Meccano was invented by Mr Hornby of model train fame, who kept making mechanical models for his son, and wished he could buy a standard set of components that could be used in multiple ways. It was marketed as engineering for boys. I reckon that these days if you re-launched it as engineering for girls, it would take off again like a rocket. On to Wimbledon to stay with our friends there. I spent a happy hour or so at Top Wind, a specialist flute shop in London, chatting about the music world and flute world in particular. Bought some sheet music too. I was going to join up with my French flute tutor there, introduce her, but she couldn't make it. Our Wimbledon friends led us to a new-ish and excellent Thai restaurant called Patara. They seemed to make all of their menu items from scratch, and featured many things that I had not seen before. The best Thai meal I have had outside of Thailand. My impression of the retail environment was that is was slow. I'm used to having to push through crowds in Wimbledon at this time of year, but it was easy to get about. Fareham seemed sparsely frequented, and Marks and Sparks had closed. I can well believe that people are not shopping like they used to. 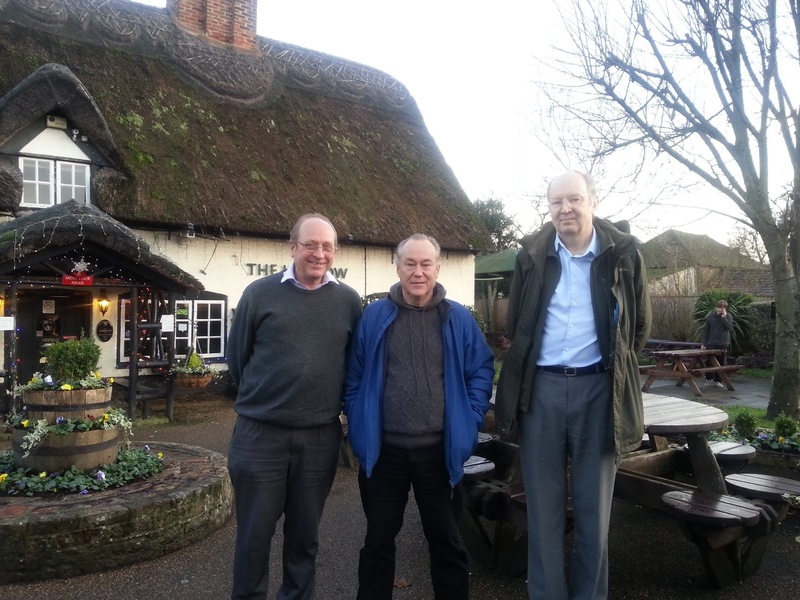 On the last lunchtime I was able to meet up with a couple of old schoolfriends in a pub. I hadn't seen Nick for ages, although Melvin I saw less than ten years ago. We had a good old natter, and Nick who still works full-time, was clever enough to take the afternoon off, so we talked long into the afternoon, until Anita and I had to leave to sort out some last-minute Christmas things. It was a couple of years after we moved here that I heard about a small artisanal brewery being set up in Ste Suzanne, just up the road. Not long after, I started seeing the beer for sale in local bars; not in all bars, but in more and more as time went on. It's available in the restaurant down the road (La Taverne des Grottes) and in the village bistro (run by volunteers, open whenever it seems like a good idea). They started out with a limited range of beers, just the blonde to start with, I think, but the range has expanded to include such as dark beers very like English beers, and wheat beer, etc. These are just the kind of beer I like; full of lavour, locally available and high quality. Little micro-breweries like that are just what is needed in this time of increasingly global uniformity. I learned a year or so ago that the owner was ill, and more recently that he has died of the cancer he was fighting. A sad loss. And today, down the road in the restaurant that stocks his beers, I learn that the the brewery will shut definitively. Another sad loss. I bought one of the last 3 remaining 6-packs of bottles in the restaurant. The owner added a commemorative beer glass "La Suzannaise". I shall savour the beers, and drink to the highest quality afterlife for the brewer. And thank him for his all-too-brief, but valued contribution to the quality of life here. 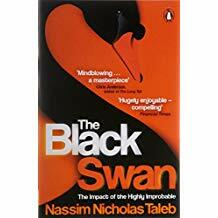 I've just finished reading Nassim Taleb's book on Black Swans. Black swans being unpredicted and unpredictable events with a big impact. Very interesting, and worthwhile reading. He makes a number of important points, the net effect of which is to point out the inadequacy of most of the ways we predict real world events, or estimate their chances of happening. One of the points he makes I find interesting, is the asymmetry in rewards for those who anticipate (and forestall) "black swan" events vs those who deal with them. The hypothetical politician who proposed, and succeeded in getting installed before 9/11, locked and bullet-proof doors fitted between the cockpit and passenger cabins in commercial aircraft got nothing but complaints. The heros were the people who dealt with the mess after the event. But a glaring error still annoys me. He states (the quote might not be exact) "the existence of a black swan proves that all swans are not white" No, no no. The existence of a black swan proves that not all swans are white. This is sloppy use of English; we know what he means but it's not what he said. Here is a purple swan. It is not white. Here is a yellow swan. It is not white. Here is a black swan. Therefore all swans are not white. It's a good book anyway. Apart from that. Book cover picture from Amazon. We stopped off in Reims on the way back; it was just a stopover to break the journey, and we didn't have much time there. There was just enough for a quick walk around, a visit to the cathedral, and then a curry dinner. The cathedral is an impressive building, but it got trashed during the war, so the stained glass is less generally impressive than in the one at Strasbourg. The curry was special. I am used to getting curries in France that are about three stages milder than in England, so I felt able to order one marked on the menu as 3 chillies (the strongest, same as vindaloo). I don't think I have eaten a hotter curry in three decades. Certainly the hottest ever in France, and hotter than most in England. Wow. It was very good too. The restaurant is called Un Indien Dans la Ville, and it's worth checking out. I did an experiment on the way back, to check out the fuel consumption of the Espace with the bikes on the rack on the back. I didn't take into account any height differences along the route, nor wind. Cruising along at a constant 90kph I got 46 mpg. I put the cover on the bikes (because it started to rain), which increased the wind resisitance, and I got 39mpg. Increasing the speed to 110kph with the cover off again, I got 38mpg. A very pretty town, seat of that most impotent of pseudo-democracies, the European Parliament. You could see the tower-of-Babel-inspired building from the roof of the cathedral, but you couldn't persuade me to visit it. There were amazing stained glass windows in the cathedral. Here's just a couple. 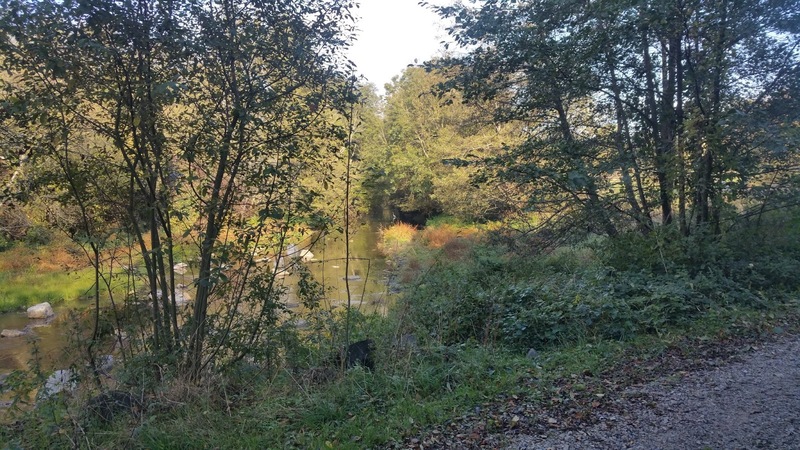 The presence of waterways through the town makes for some attractive views, and the central area rewards just strolling around. Even if it's cold. The statue is of Gutenberg, of printing press and bible fame; he lived in Strasburg for five years. Colmar is one of the towns right by the winemaking areas of Alsace, described as "the jewel of l'Asace", and when it was too cold or windy for cycling, we went to spend that day there and see what was to be seen. It's clearly oriented around the tourist trade, and even on a cold day out of season, it was quite busy with sightseers. On the downside, they have those wretched parking pay stations that expect you to pay using your mobile phone. Have you tried using those? Nightmare. We eventually found the bit that takes real money. The old buildings in the centre are well-maintained, and the waterways that thread past make an attractive backdrop. The Little Venice sector is especially pretty. We had lunch in Ye Olde Touriste Trappe, of a dish that was touted as a local speciality - rosti. That is, a dish of grated potato placed in a skillet and roasted in an oven, and with a topping of various ingredients of your choice. We were not especially impressed, but I think thet dish itself holds promise. If the potatoes had been better cooked and the sauce better integrated into them, it would have been OK.
We got two days' worth of cycling in during this holiday. There was some fine weather when we first arrived in Neuf-Brisach, but then it turned wintry: cold, windy and raining. We're leisure bikers and braving the rain and cold on a bicycle isn't our idea of fun. While we were still enjoying the last of the Summer, we went along the canal that runs close to the town, imiginatively called the Neuf-Brisach Canal, starting at Bliesheim, a small village nearby. It has to be said that the people who complain that the long, straight canals are boring to cycle along, have a point. But the scenery was pleasant, the weather fine, and the cycle track paved and level. As soon as we had left the village, we had the path to ourselves. It was here that we first became aware of the enourmous size of the cultivated fields there. Cars the other side of the field were tiny dots going past. The second cycle trip we made was later in the holiday, once the initial cold and rainy spell had passed and the daytime temperatures had warmed to a balmy 12 degrees or so. In the morning we went along another straight canal, but in the afternoon we chose a canal path that looked wiggly on the map, on the basis that it would be more interesting. It was. It was a disused canal, no longer navigable. The locks no longer exist and have been boarded up with wooden dams to keep the water level up. Dotted along its path were the prettiest ex-lock-keeper cottages you can imagine, and since there was no traffic on the water, it was quiet and calm. We stayed 4 nights at Neuf-Brisach. The Goole Earth pic below shows clearly that the town did not grow "organically", but was designed for defense. It is positioned on the other side of the Rhine from Breisach and defends against the strategic importance of that town. Our lodging was in a set of holiday apartments -"L'étoile de la Citadelle"; there was a kitchenette in the bed-sitting room plus a roomy bathroom, and entryway. It was on the ground floor, and suitable for wheelchair users. I don't know if the other apartments are equally spacious, but we were very pleased with it. It was a stone's throw from the central square where we found excellent bakers and coffee shops. The town is defended by impressive earthworks. We cycled around them at the lower level, and I also went around on the top. Each straight section of wall has its own artwork installation, and I took some pics. A town can't survive on tourism alone, and we could see from the ramparts at Langres a big factory belonging to Plastic Omnium. We passed it on the way to the reservoir at Liez on our way out to our next stopping-place at Neuf-Brisach. The reservoir itself was rather bleak on this cold and misty October morning. You can see how the summer drought has left the water level several metres lower than usual. A few hardy fishermen were standing on the dam wall, and there was someone walking a dog but no-one else was about. A little farther on we discovered the garden snails at Cohons. There are three, and they are follies, as far as I could tell. You can walk up the spiral slope to the top, as a result of which you are a bit higher up than you were before. Langres is an ancient fortified town, built on a high plateau, and the area around it is the watershed between the rivers that flow in to the Med, or the Channel. We stopped over there for the night on the way to Alsace. It looks like a popular tourist destination, with plenty of hotels, trails for tourists to follow, notices explaining ruined architecture and so on. There is a cycle route around the ramparts that gives a fine view over ther surrounding countryside, and I took a quick spin along it, taking photos on the way. It's only 3 or 4 km long, so it didn't take long. Hallowe'en was clearly being celebrated, although more than a week too early, and our hotel went to town on the idea. Our fine hosts were a lady of Cuban extraction, and her American husband, I never did get to find out how thay came to be running a hotel in deepest France. The town featured something I had not seen before - a funicular railway linking a car park to the ramparts. I guess that the place must be busy during the tourist season, so visitors are constrained to park slighly apart. The little cabins go up and down, and are operated by the traveller. I went up and down. Well, I had to check them out, didn't I? We enjoy holidays that combine sightseeing with a bit of activity; taking the e-bikes to a holiday destination and then riding them along a canal or river towpath works well. We decided in the Summer that, when we could, we'd take a look at the Alsace region, test the wines, and ride the bikes along the Rhine or the canals there. We have just come back from ten days in or around Alsace, and our main impression is that you'd think we were in Germany, except that everyone speaks French. The last time that the region transferred from Germany to France was in 1918, and the german character of the place is still very apparent. Tidy villages of well-kept, timber-framed houses with neat front gardens, all with names that end in "heim". Clean toilets, and, in the restaurants, Flammenküchen on every menu, except that you have to call them tartes flambées. These are pizza-like dishes, on a very thin crust, topped with cheese and bacon pieces plus whatever the chef thinks he can sell. We can buy them as Flammenküchen in Mayenne, but I guess that's a bit too german for a part of the world with the background of Alsace. The Rhine valley is wide, flat and fertile. The dark, nearly black soil is too rich to waste on grapes, and we saw huge fields (hundreds of acres, thousands?) of maize (now harvested), and cabbages, leeks, asparagus. I saw the first lawn turf grower that I have come across in France, and potatoes were for sale in various farm outlets. The vineyards are on the hillsides that bound the valley, I guess the soil is poorer there, and drier too. The flatness of the area makes it ideal for cycling, and it is criss-crossed with paved and well-signposted cycle tracks. We chose to cycle along waterways, but one could also navigate between many of the villages without having to share the way with cars. We took our time getting there; it's a long drive, and we were in no hurry. We stayed over in Langres on the way out, and Reims on the way back, and while there we stayed in Neuf Brisach for a few days and then Lipsheim near Strasbourg. More later.